Cyber and Data Loss insurance (Cyber Insurance) is fast becoming a ‘must have’ cover for any business that retains personal client data (financial or otherwise) within its computer systems. Loss of such data or release of it, to the outside world through error, negligence or the criminal acts of employees or third parties, could result in serious financial loss to the company. These exposures can be insured through the multitude of insurance policies that have become available in the current insurance market. The problem for most companies is to understand what coverage is available and how best to access the right insurance products to protect the potential data loss position that all companies are potentially exposed to. How Can We Arrange Cyber Insurance Cover? Given the complexity of cover options available and the nature of the potential exposures facing a company, it is recommended that professional advice be sought to ensure that companies choose the suitable insurance product for them at the most cost-effective price. At Sovereign Insurance Services, we have worked closely with leading Cyber insurance market practitioners to provide more user-friendly insurance products to help clients understand precisely what they are getting into when they enter the Cyber insurance world. For a free initial quote, fill in the online form here. Cyber Insurance covers the losses caused by damage to, or loss of information from, IT systems, networks and electronic records. Policies are designed to protect businesses, or individuals in certain circumstances, from internet-based risks, which can cause financial or reputational losses. 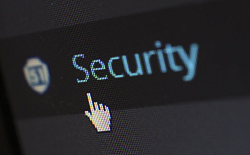 Whilst an element of insurance protection against cyber risks can be incorporated in other covers such as Property or PI, the demand for specialist cyber insurance is increasing, driven by the publicity surrounding a significant number of high profile cyber-attacks and data breaches. Most businesses rely to some extent on an IT system, a website and electronic storage of records. These will probably include sensitive customer details such as names and addresses, and financial data such as bank details and transaction histories, all of which are attractive and vulnerable to hackers. The regulations governing data protection are becoming more onerous with businesses increasingly responsible for securely protecting information contained within their computer systems. Under the new General Data Protection Regulations “GDPR”, from May 2018, companies will face heavy fines if their systems are breached and sensitive client data is accessed by unauthorised third parties. Sophisticated techniques are now needed to protect data systems from criminal attack. It is no longer sufficient to simply invest in firewall protections; companies need to ensure that their computer systems are regularly reviewed and updated. Despite constant advances in IT security, it is difficult to achieve 100 per cent protection. Whilst Cyber insurance has been available for some time, the market is still small and evolving. This means that a wide variety of covers are available with very little standardisation between different insurers. The core risks covered under most policies, when a data breach is suspected or has occurred, will include the following.